India vs Australia 1st ODI Sydney: India captain Virat Kohli's fans seem to only rise and why not, he is the best cricketer on the planet and for a reason! India vs Australia 1st ODI Sydney: India captain Virat Kohli’s fans seem to only rise and why not, he is the best cricketer on the planet and for a reason! He is probably the saleable cricketer and was the highest paid Indian athlete according to Forbes. 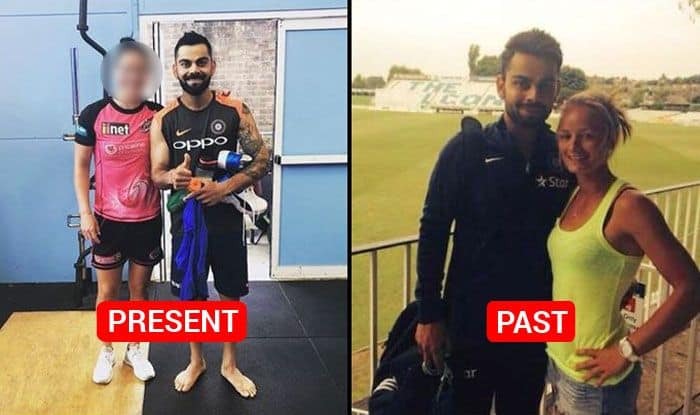 Kohli has recently led India to its maiden Test win on Australian soil and it seems he has a new female fan from South Africa. South African women cricketer Marizanne Kapp is apparently a big fan of the Indian skipper and she was recently overwhelmed when she got an opportunity to get a selfie with the Indian captain. Kohli has been in ominous form in 2018 and finished as the leading run-getter in ODIs and Tests, which is a massive feat and is a testament of why India has been in great form as a unit. Kohli will soon be leading the India team in the upcoming limited overs season against Australia, followed by New Zealand tour. In the past year, Kohli also became the fastest to 10,000 ODI runs apart from becoming the first Indian to slam three consecutive centuries in ODI cricket. Meanwhile, BCCI has announced a limited overs schedule where Australia will tour India starting February 24-March 13 2019. This will be followed by the Indian Premier League starting March 23. Australia will play India in a two T20Is and five ODIs. The T20Is will start at 7:00 PM IST, whereas the five ODIs, which will start from 1:00 PM IST.